Married To Chocolate: Candy Wonderland on Rivington St.
Candy Wonderland on Rivington St. I have no words for this place. Just awe. Wide-eyed, wistful, child-like awe. 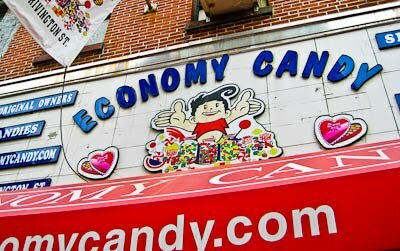 This candy mecca on the Lower East Side called Economy Candy has the grandest collection of old time candies I've ever seen. The store was packed when I walked in. Packed with kids, and moms, and grandmas. 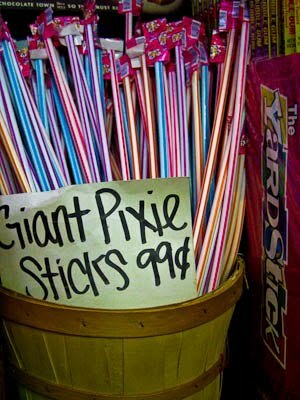 They sell gumballs by the pound, and Pez, and giant Pixie sticks. 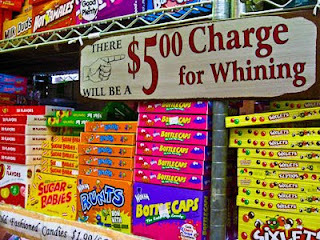 They have gummy bears the size of fists (I kid you not) and, oh i don't know, a jillion jelly beans. 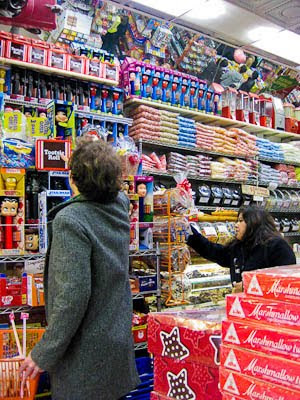 The sugar stretches out from floor to ceiling, wall after wall—you get a toothache passing by this store. 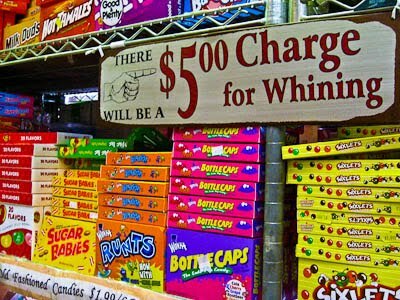 But if you want candy on the cheap, this is where it's at. Get ready for a nostalgia attack (and don't forget to brush your teeth). They've been open since 1937. 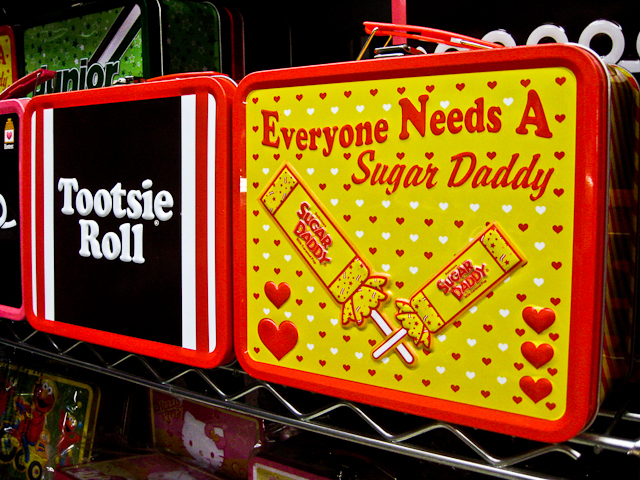 That's a long time for a candy store. 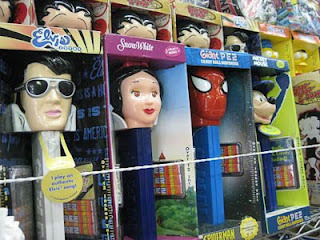 I remember these! Do you? One day I hope somebody starts selling gummies by the color. I call red. That Elvis Pez creeps me out. 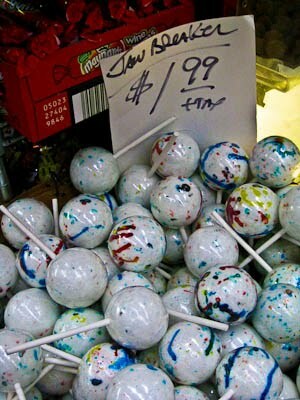 Jaw breakers! Good candy, bad movie. 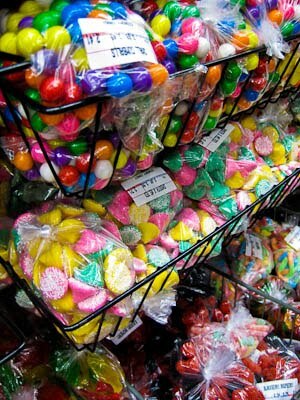 What's your favorite old-time candy? Coming soon: Meet Brooklyn Baker Allison Kave and her award-winning pies! I love the lower east side.. so many cheap food stops :) Come back! !